Wearable fitness tracking monitor maker Fitbit is in hot water as users complain that two of its tracker bands, the Fitbit Charge HR and Fitbit Surge, do not measure heart rates precisely as advertised. Disgruntled Fitbit customers from Wisconsin, California and Colorado filed a class action suit against the company in a California federal court this week, hot on the heels of Fitbit’s launch of its newest fitness tracker, the Fitbit Blaze. Plaintiffs allege that the Charge HR and Surge, which were released in 2015, track heart rates inaccurately by a “significant margin,” especially during intense physical activities. The suit asks for actual and punitive damages. 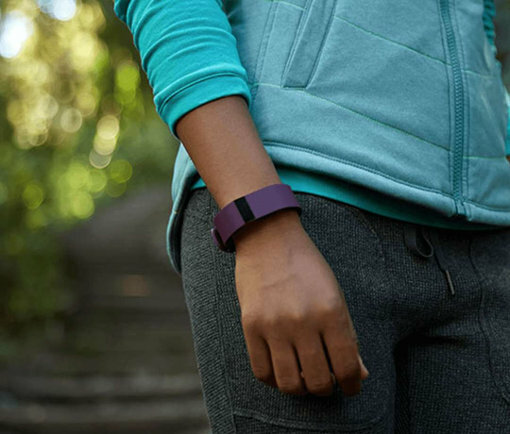 After discovering that her Charge HR did not work as promised, one plaintiff said she complained to Fitbit and sought a refund but received nothing. Another plaintiff compared her heart rate counts from both the Fitbit Charge HR and manual counting by a workout trainer. The Fitbit tracker reported only 82 beats per minute, while manual counting showed 160 bpm. The suit also mentions a cardiologist who compared results between Fitbit’s heart monitor and an electrocardiogram machine. Fitbit’s gadget was said to consistently report the heart rate inaccurately. Further, when the heart rate went beyond 110 bpm, the Fitbit tracker allegedly did not report any heart rate; when it did, the result was about 24.34 bpm (on average) away from the reliable count. In a statement, Fitbit said that the case had no merit and that the company strongly disagreed with the allegations and would vigorously fight the lawsuit. The statement noted that although the Fitbit monitors are “designed to provide meaningful data to [users] to help them reach their health and fitness goals,” the products are not meant to be treated as medical or scientific devices. Fitbit’s PurePulse technology, which is the central feature on the Charge HR, Surge and the newly unveiled Blaze, does all the legwork in heartbeat counting. The technology involves using LEDs to track blood flow in the wrist. The device then uses algorithms to compute the user’s heart rate. Other makers of wearable fitness monitors and smartwatches, such as the Apple Watch, use a similar technology. If you’re looking for other fitness tracker options, see our list of five fitness monitors that cost $50 or less.